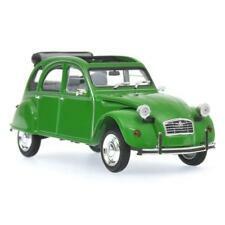 Minichamps 1:43 CITROEN 2CV 1980 GREEN L.E. 1440 pcs. Citroen 2CV Charleston 1980 Red/Black 400111500 Minichamps 1:43 New in a box! Ford Mustang fastback 2+2 1968 red n/box (Minichamps) 1/43 RARE! This page was last updated: 24-Apr 21:10. Number of bids and bid amounts may be slightly out of date. See each listing for international shipping options and costs.